"The nicht o' the waddin'"
A beautiful new recording of a classic hymn. Written by 26 year old James Cleveland Moore (1888 – 1962), from Georgia, USA circa 1914 and was dedicated to his parents. His father was Charles Robert Moore, an ageing Baptist pastor in Draketown, Georgia. 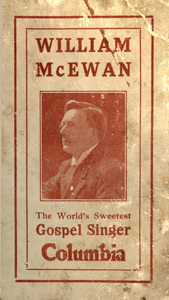 It was first recorded in 1926 by “Smith’s Sacred Singers”, said to be the first “country gospel” recording – it sold 277,000 copies in an age when sales of 5000 was considered good. It was recorded by the Carter Family in 1932. As my mother old me one day years ago as she lay in a hospital bed - "Dinnae get oul". I wonder if, when this book was produced in 1919, did the publisher appreciate that in Scots and Ulster-Scots, 'greets' means 'cries'. Many of the 'brave and faithful sons' and relatives of the 'glorious dead' would have been struck by the probably unintentional double-meaning. The first flag of Northern Ireland? 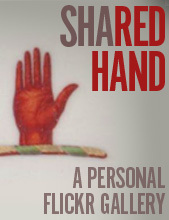 But was the Red Hand actually Green? Possibly. Graphic from this description of the Ulster Pavilion at the British Empire Exhibition of 1924. Perhaps archival photographs exist somewhere. Further details online here. "I would like to ask the hon. Member a further question. Is he aware that a great deal of dissatisfaction exists amongst those who have visited the Exhibition at the Ulster Pavilion, that the only persons who appear to be satisfied with the Exhibition are the Ministry themselves, and that those who ought to be satisfied are a great deal dissatisfied? ... Is it a fact that the decorations of the Ulster Pavilion are green, yellow and red, and that at the opening of the Exhibition the red hand of Ulster was actually painted green? As the answers given are so unsatisfactory, I think we should raise this matter on the adjournment of the House." The nicht o' the fun"
One of my late granda's songs, remembered by my mum tonight, as I was playing tune 'The Irish Washerwoman' to her on the mandolin. This is him with my aunt Ruth Wilson (now Hamilton). William of Orange's Act of Gracious, General and Free Pardon, 23 May 1690 -- "their Offences may not hereafter be brought in Judgement, Question or Remembrance ... Indulgent Grace"
I have blogged about this before. I now have an original copy. The theologically-inclined will see the Gospel exemplified here. Northern Ireland is undergoing a revamp of local government. There will be fewer local councils - not that the country is getting smaller - but local government is paradoxically becoming both smaller (there will be fewer of them) - yet bigger (they will have more staff and more powers and functions). This is all with the stated aim of saving money. Yet anybody who has been through a 'change management' process in a large organisation will know full well how expensive these processes can be. They take a long time, there's the inevitable drop in confidence among customers/the public, productivity reduces, staff morale is usually damaged, scepticism sets in, there are redundancy packages to negotiate, legal fees escalate - and of course there's the consultants fees to pay for all of the 'fresh thinking' that has to be bought in from outside. One of the challenges is what to call these newly-merged Councils. Sometimes they naturally belong together as logical areas - but, as in the case of the area where I live - two councils based in two towns which in themselves are very different from each other and even rivals of one another, are being pushed together. Ards Borough Council (based in Newtownards) and North Down Borough Council (based in Bangor). The towns have been rivals for centuries, I would suggest going back at least as far as 1606 with Hamilton's Bangor and Montgomery's Ards competing with one another, and their respective Royal Town Charters which were granted by King James VI & I in 1613. And before them, maybe even the monks and friars of Ards Priory and Bangor Abbey might have been trying to out-do each other. In the late 1500s the whole area was marked on maps as The Ardes. By 1906 the whole area was within the Parliamentary constituency of North Down - one of four constituencies in County Down which were (you guessed it) North, South, East and West. Where this rivalry has got to is no agreement on the name for the newly-merged Council. Some combination of the two previous names has always seemed logical to me. But the word on the street is that the North Down contingent wouldn't support "Ards and North Down Borough Council" and the Ards contingent wouldn't support "North Down and Ards Borough Council". The resultant stalemate has brought about a name which was narrowly approved by the Council members - 'East Coast Council' - but which the public has reacted very badly to and which has attracted a lot of negative press coverage. People power has mobilised itself to vocally object. It's a bad start for the new organisation. I wasn't involved in the project but I know many of the people who were - councillors, Council officers, and also consultant team. They all asked me for input and I gave it - informally and also formally. Naming something is really tough, but in a climate of enforced merger and perceived loss of identity it's even harder for the consultant team to navigate the storms. But not using a placename in the Council name seems daft - East Coast of where exactly? We holidayed in East Yorkshire last summer, and their coast is magnificent. Google "East Coast Council" and you'll end up in Yorkshire, in Suffolk and even Singapore. My kids tell me in American rap music there is an East Coast v West Coast rivalry. East Coast could be anywhere. And so the name becomes a vanity exercise. Somebody wanted the merged Council to be creative and new. Which in itself is a positive objective. Where it all went wrong is that the name's not where to do that - choose a simple, trustable, distinct name - and let the creativity show by being creative in the marketing, the events, the way the organisation goes about its business. Be creative in how you operate - don't think a fancy new name will overcome perceived failings in product or service. To quote an old song - It ain't what you do, it's the way that you do it, and that's what gets results. • Ards North Down • East Coast • North County Down • North Down and Ards • Loughlands • Peninsula. I will always go for a combination of the two - either Ards & North Down or North Down & Ards. Go alphabetical or toss a coin. Just get on with it. Local government shoulcn't be 'exciting' - it should be reliable and trustworthy, and in tune with the public they are meant to serve. Want to be creative? Then do something imaginative - reduce bureaucracy, get better at serving your customers, keep the place spotlessly clean, get sensible and efficient planning policies, support small business - do things that help people! It's easy to kick the consultancy team. But they didn't write the brief or set the terms of the contract or allocate the budget. Implementing the new name - whatever it is - on everything from leisure centres and bin lorries and car park tickets and signs - will cost far more than their 'naming process' fee will be. Everybody wants change, nobody wants to change or reveal the actual cost of it. Appalachia - The Big White Ghetto: "...the last redoubt of the Scots-Irish working class that picked up where African slave labor left off..."
So just how popular was Scots language literature in 1800s Ulster? ... popular enough for volumes like this to exist - 200 page pocket edition of three famous Scots language poets, with vocabulary flowing with Scots joy. There were other similar volumes published by John Henderson, such as a double volume of Ramsay and Ferguson. This volume was published in the same year as Moneyrea's Robert Huddleston. 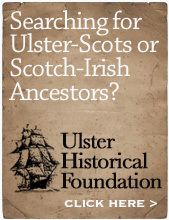 It increasingly seems that Ulster was positively awash with Scots and Ulster-Scots literature for centuries, up until the 'progress' of the late 20th century and the horrors of the Troubles. Tannahill was a weaver, born to Ayrshire parents, but committed suicide in 1810. His work was first published in 1807. M'Neill was roughly contemporary with Burns, first published in 1789, just before he went to Jamaica for a while. Ramsay was earlier and had already been published in Belfast many times before. Just like today, printers don't print books unless there is a ready market for them. Centuries before smartphones and iPods, these poets and publications were the pocket-sized entertainment for the masses. 200 pages of poems and songs! Our ancestors were far more literate than we give them credit for. Edward Bruce 700 The 700th anniversary of the arrival on 26 May 1315 of Edward Bruce's Bannockburn army at Larne Lough, the start of a 3 1/2 year campaign in alliance with the Ulster O'Neills to oust the Anglo-Normans from Ireland. It's a story that places the Ulster-Scots connection 300 years before the Settlements and Plantations of the 1600s, and yet in a sense it paved the way for them both - when King James VI & I of Scotland succeeded in 1603 to become King of everywhere - an objective which had eluded King Robert the Bruce of Scotland in the early 1300s. A Facebook group has been set up for Friends of Edward Bruce 700. Archibald McIlroy 100 The centenary of the death of perhaps the finest, and most commercially successful, Ulster-Scots 'kailyard' writer. McIlroy (1857–1915) was onboard the SS Lusitania when it was torpedoed and sank off the west of Ireland on Friday 7 May 1915. A total of 1198 people drowned, 11 miles from Kinsale. Legend has it that McIlroy was carrying the manuscript of his 'magnum opus' to present to publishers in Belfast. On the centenary evening on Thursday 7th May, former Presbyterian Church in Ireland Moderator the Very Rev Dr Donald Patton is giving a lecture on McIlroy at Union Theological College for the annual Robert Allen Lecture for the Presbyterian Historical Society, of which Dr Patton is the current Chairman. Here's a link to the Ulster-Scots Language Society's bio of McIlroy. There are probably more centenaries than these two, but these are the two big yins.